On holiday I am a moment-capturing maniac. I enjoy taking photos of just about anything. 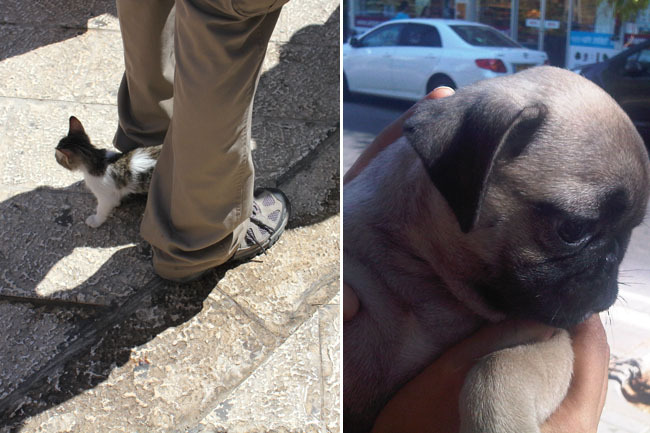 Here are some random photos from my travels around Israel. Is it a flower? Or food? 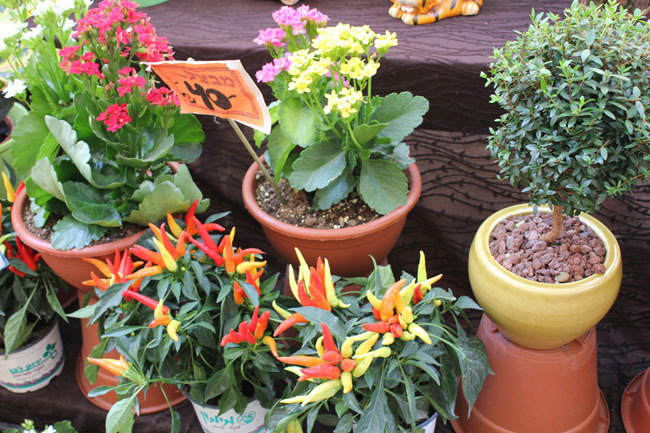 It's Chili pots. 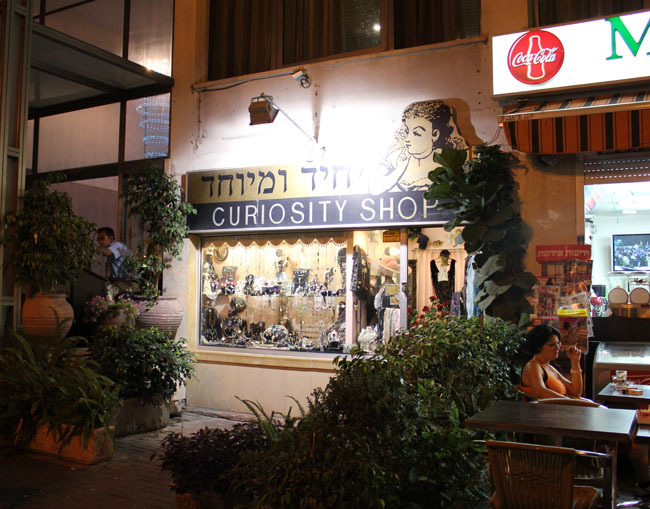 When stores expand in Tel Aviv, they don't start chains. 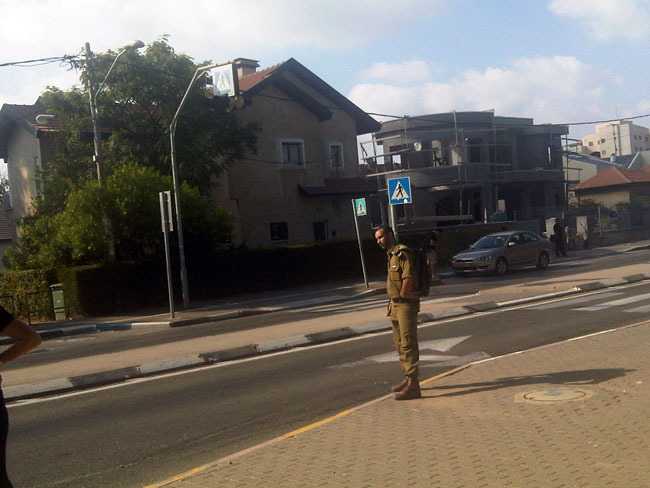 They just spill onto the street. 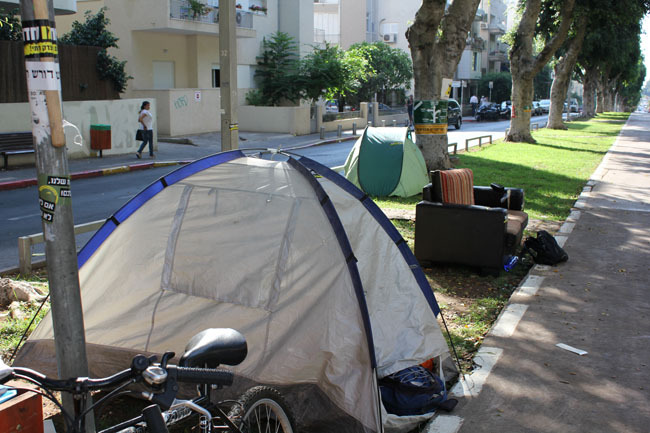 Tents on the street in Tel Aviv - an innovative way to bring down rent. 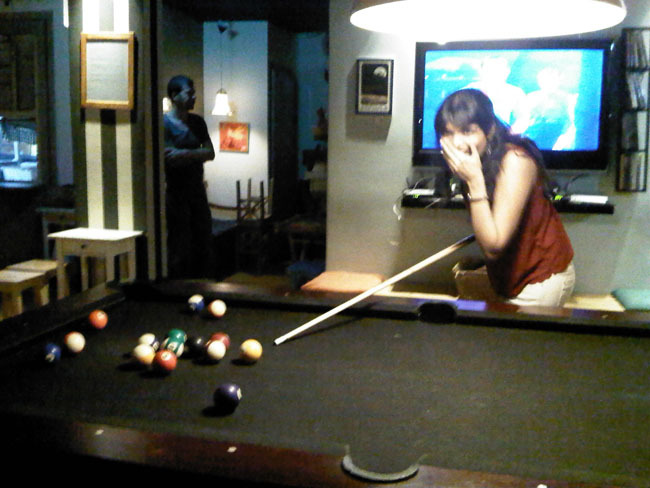 (Something we couldn't dream of doing in Bombay). 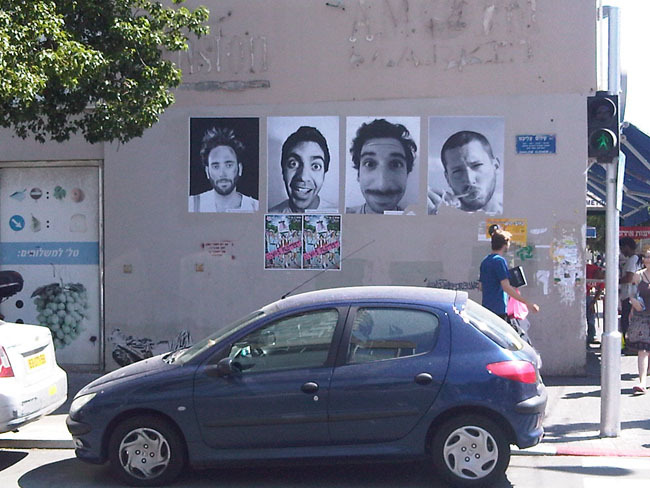 Advertising/ a joke/ Tel Aviv's version of Shaadi.com on Ben Yehuda street. 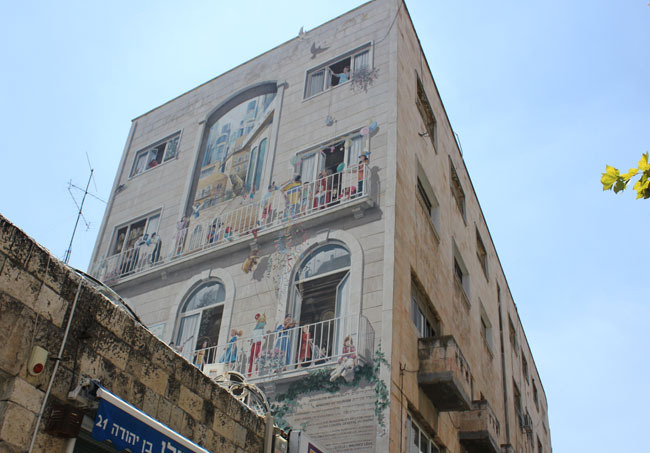 A painted building wall giving the illusion of people in windows in Jerusalem. 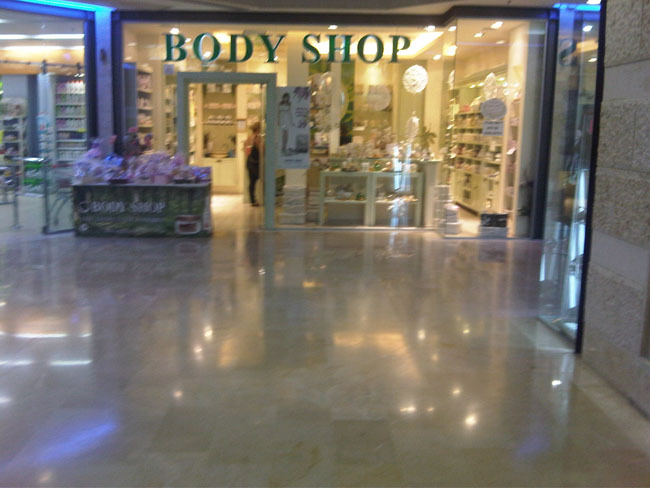 Body Shop's evil twin in Israel. Also called Body Shop. 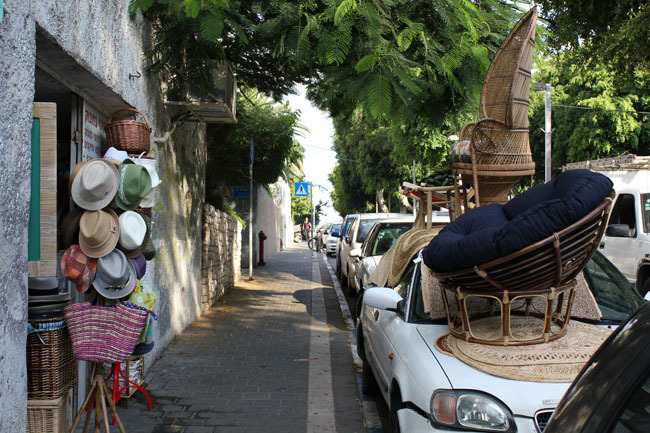 Tel Aviv - so inviting. And people don't believe in brands. 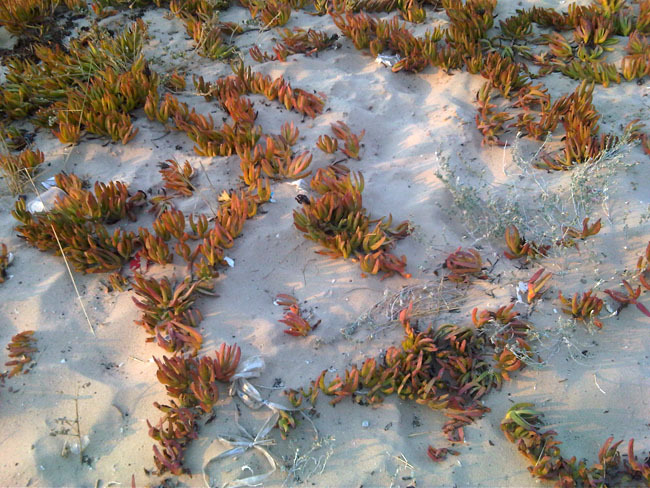 Something that looked like french fries growing on Bat Yam beach. 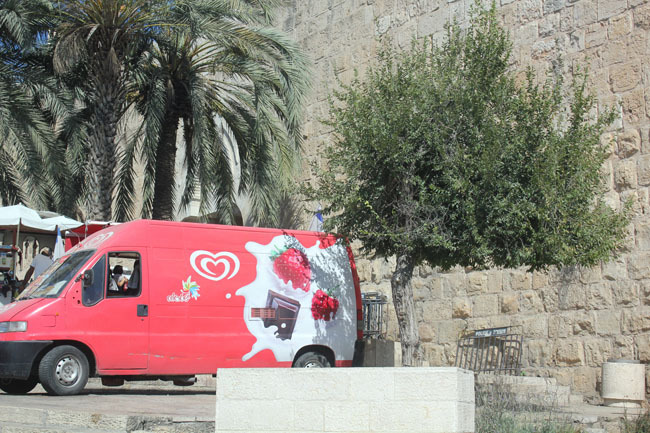 Kwality Wall's ice-cream in Jerusalem. 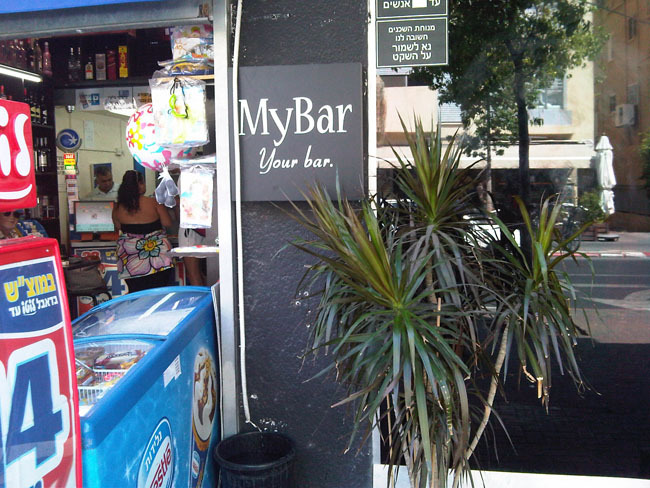 Felt good to see a familiar logo after seeing too much Hebrew. 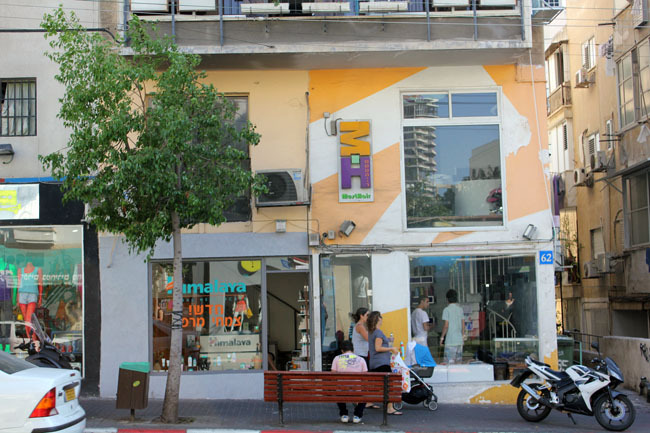 And then I saw the Himalaya store in Tel Aviv and felt so at home. 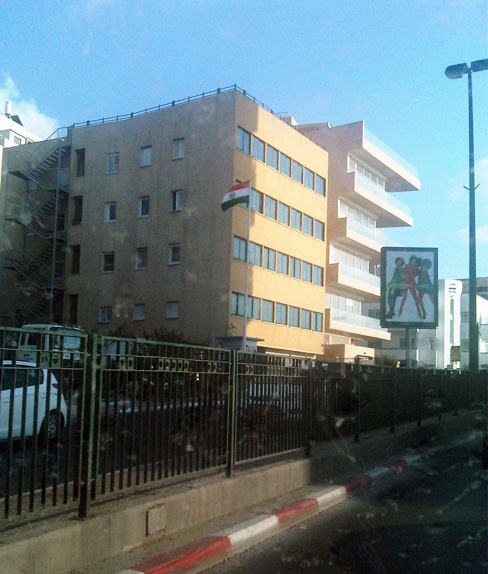 And found an Indian flag. 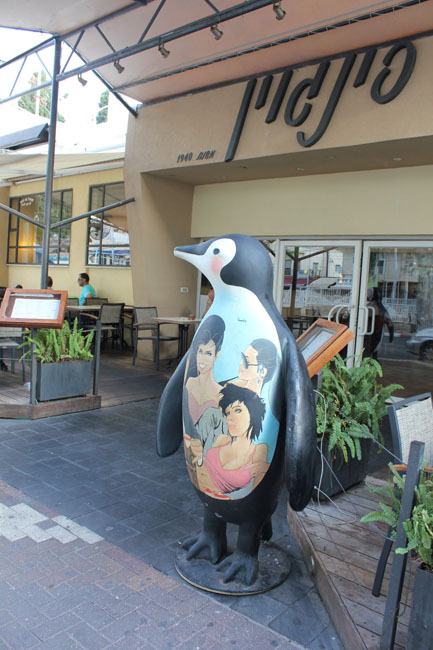 A penguin outside a restaurant in Nahariya. I couldn't understand why. 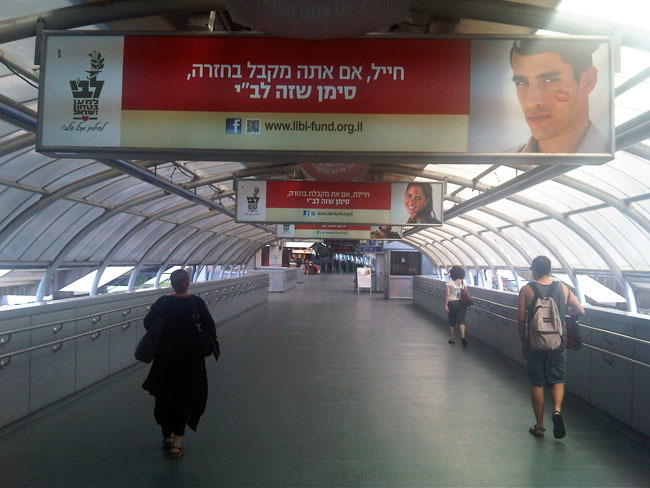 An Army advert at the train station. How cute is he? The luck that carried me through my trip. 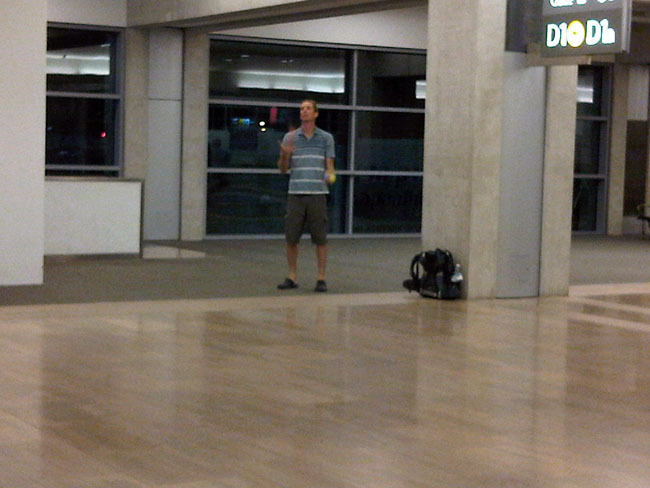 And then I came home after being hypnotised at the airport by a man who juggled for an hour. 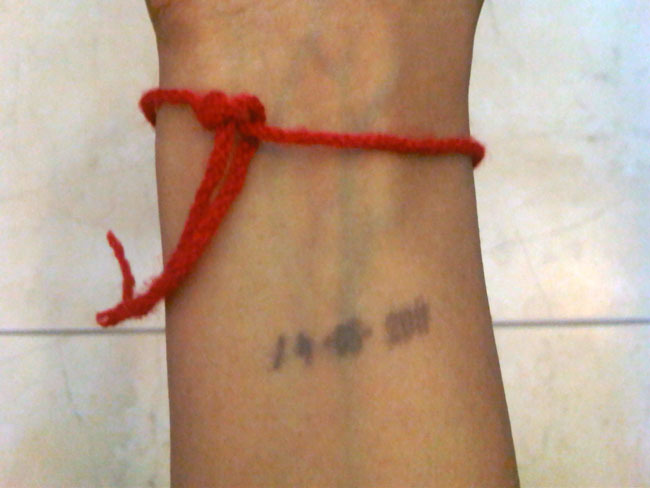 Back to Bombay. Back to Reality.